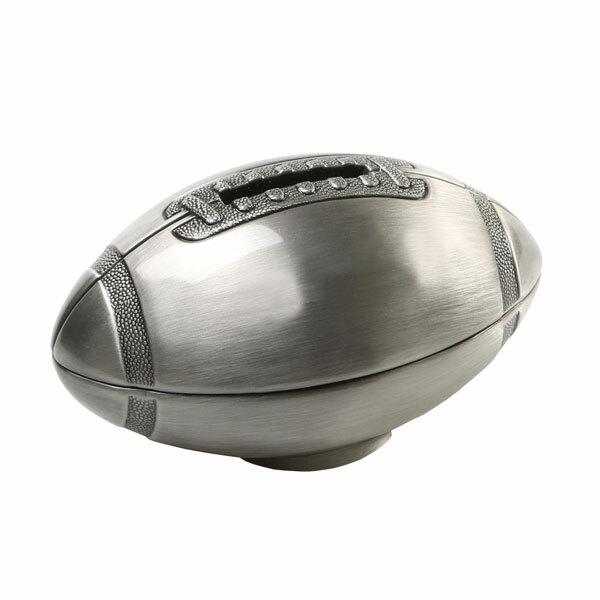 Get into the savings game with our anti-tarnish brushed nickel finish football bank. Fans of all ages will admire the fine detailing on this beautiful football. Perfect gift for a new baby, birthday, ring bearer/flower girl, or just because! Overall dimensions are 2.25" H x 4.25" L x 2.5" W. White gift box.